The Barnardo’s retail team share their top picks from this weeks #mybarnardosfind images on Instagram! First up we have @Tinadavis89 who found the most amazing animal print pleated skirt from her local Barnardo’s store in Glasgow. The vibrant mix of blues, greens and splashes of purple within the print really brings the fabric to life, a wardrobe staple that can easily be taken from day to night. @Tinadavis89 teams this beautifully with a denim jacket and on trend fringed bag. We ♥ her style! Next up we have @dollyinthestre et, Lisa had picked up this colourful vintage jumpsuit from her local branch of Barnardo’s. Teamed beautifully with a leather D&G belt and cute yellow cut out sandals @dollyinthestreet ouzes summer style and shows us just how a jumpsuit should be worn. We always love a designer label and when we spotted @felice_mcdowell in her #mybarnardosfind we turned green with envy. Felice found this silk Nicole Farhi dress on a recent visit to West Street in Brighton. We love @felice_mcdowell edgy style, she teams the dress with a chunky black sandal, a delicious mix of feminine and grunge style. 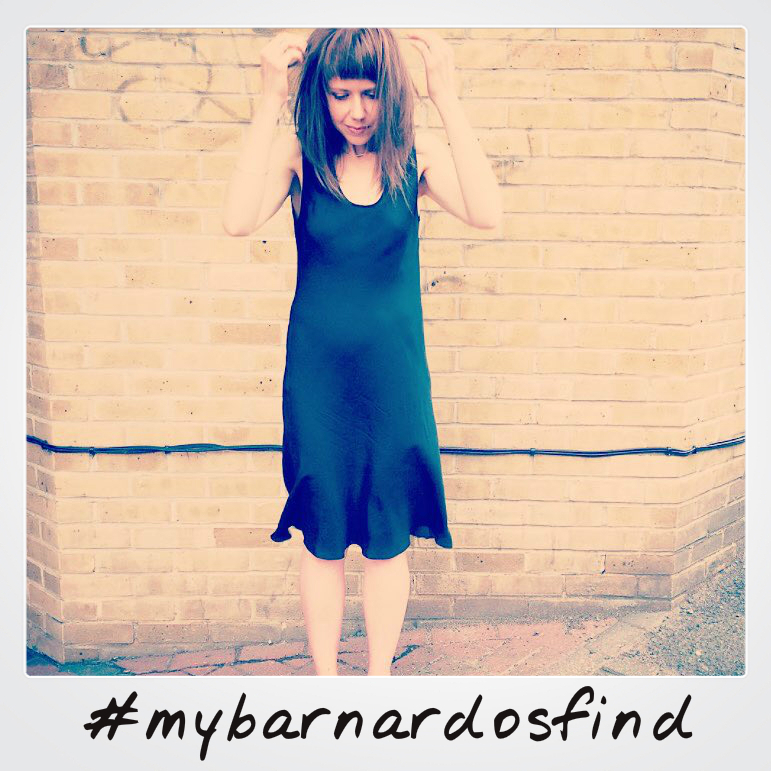 Have you got a #mybarnardosfind you would like to share with us? 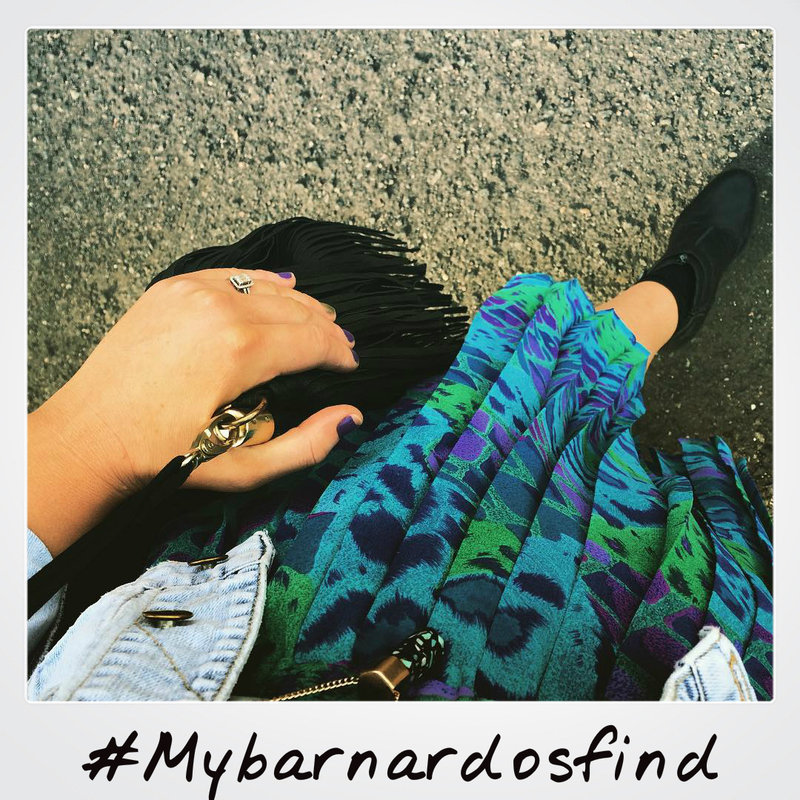 Simply upload to the Instagram or Twitter using the hashtag #mybarnardosfind and you may find yourself featured in next weeks top picks. Why not follow us @barnardosretail today! Want to get involved, find your local store here.